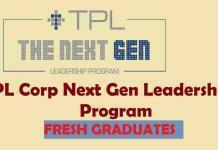 Trainee Teller Services Officer job will undergo rigorous trainings. 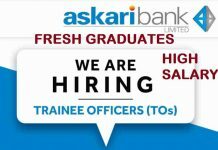 The Trainee Teller jobs holder will be primarily responsible for processing of financial transactions over the branch counter, ensuring delivery of quality services to customers, managing activities related to remittances, clearing & collections as per standard operating procedures and prudential regulations. Responsibilities will also include cash sorting, ATM cash replenishment, processing of Western Union / Faysal Rapid Cash Transactions on system and its record keeping. The required Minimum education for Trainee Teller Services Officer is Bachelors degree in any discipline. 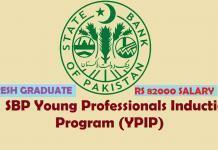 Faysal Bank is offering Trainee jobs from fresh graduates, so there is no experience required. 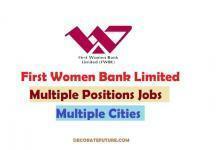 Both Male and female are encourage to apply for Trainee teller jobs in Faysal bank. 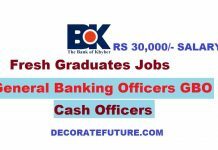 The last date to apply for Faysal bank Branch Services Officer is 31-March-2019.